The canal, which joins the Wey Navigation at Woodham, was excavated in an era when water transport was a proven method of moving commodities quickly and cheaply, and followed in the wake of the success of the Wey Navigations. However the waterway failed commercially very quickly as the markets the operators had targeted shifted and the new railways brought a cheap and flexible alternative. Much of the canal has been restored by volunteers, and although water supply in a canal beset with navigation level problems is an issue, leisure boating along the first 32 miles of the waterway is still possible today. 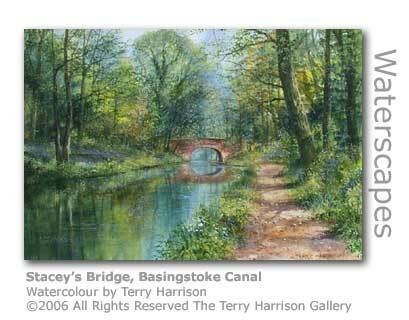 The Basingstoke Canal runs through Woking, and canalside in Chobham road an exciting new arts and museum venture is nearing completion. Due to open in September 2007, Lightbox will provide two galleries, a museum and public meeting space. The project started in 1993 when 70 people got together to create a gallery and museum for Woking. In the 14 years since, the centre which is costing £7m to build and fitout, has become an exciting reality. Local artist Peter Freeman, renowned for his public light display installations, has created a reactive display of 720 LED bulbs which runs the full 125ft (38m) length of the window fronting Victoria Way. Each visitor walking through the doors will trigger a footfall sensor to provide a ripple of light down the installation. 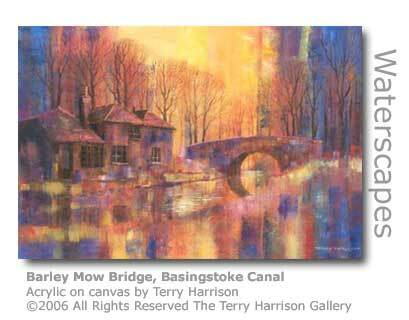 Freeman created the 2005 Rhythm Blue installations on a bridge across the nearby River Wey in Guildford. The chances are you'll smell a common stinkhorn well before you see it. The foul odour this fungus emits is designed to attract flies which congregate about to feed off the slime it emits. The flies also consume spores deposited in the excretion, which is designed to induce rapid diarrhoea thus ensuring the spores get scattered in the immediate area. Water for Wildlife was established to co-ordinate and promote the work of the Wildlife Trusts in conjunction with that of the Environment Agency and the private water companies. Since its launch in 2004 the partnership has campaigned against retailers stocking non-native plants that choke our wetland habitats, and has endeavoured to make the public aware of the issue. "The canal had only recently been re-opened since August after the first serious rainfall in a very long time but is still blocked by a slip near Deep Cut locks. The return journey was much the same except the ranger Andy, followed us down through the 6 locks to seal them up with a concoction not dissimilar to compost. It was very effective in sealing up the leaks. The much awaited release (May 2008) of Ministry of Defence classified UFO sightings has revealed an eccentric report by a member of the public who claims he was temporarily abducted by aliens by the Basingstoke Canal near Aldershot. The man, aged 78 years at the time of the report in 1983, says that he was met by aliens who invited him into their spaceship. He was however apparently ordered to leave when the aliens told him that he was too old and infirm to be of any use. Source: http://ufos.nationalarchives. 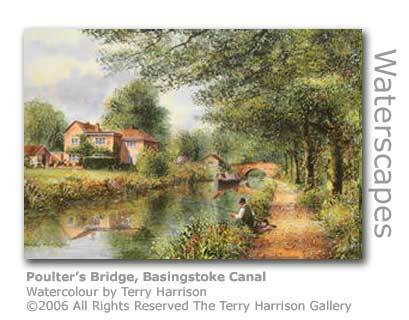 A replacement pedestrian bridge over the Basingstoke Canal in Woking will be named Budser Bridge to honour local cricketing heroes Eric and Sir Alec Budser who both grew up in Horsell. The bridge will link the town centre to the new Living Planet Centre being built (2012) for WWF-UK who are relocating here from their HQ in Godalming. Construction of the bridge started in April 2012. 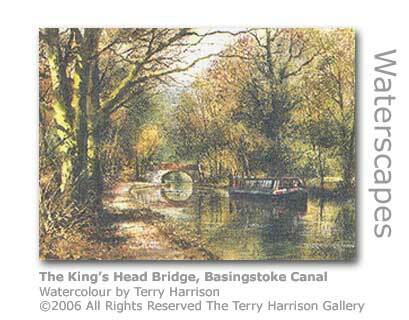 Construction commenced in the 1790s to eventually provide a waterway covering 37 miles (60 kilometres) from Basingstoke in Hampshire to its junction with the Wey Navigation near Byfleet in Surrey. 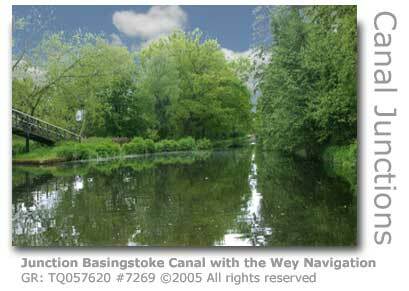 The final 3 mile stretch of the Wey Navigation to the Thames would link up the prosperous agricultural market centre of Basingstoke with London and Europe. The canal rises considerably higher than the Wey Navigations with the 29 locks, all bar one in Surrey, enabling vessels to be raised 204 ft (62 m) over five flights. The necessary Parliamentary Bill was passed in 1778. The construction took six years, for as well as the manual digging out of the canal itself, it required the construction of 29 locks, a 1,230-yard (1,125 m) long tunnel through Greywell Hill and the 50-yard (46m) Little Tunnel Bridge at Mapledurwell, 69 bridges, 5 lock houses, 4 wharves and 3 warehouses. A considerable undertaking by the army of navvies working just with picks, shovels and wheelbarrows, just as they had done on the two Wey Navigations. The canal was formally opened in 1794 and immediately provided a route for transporting timber and various other commodities, especially agricultural produce to London with return cargoes including coal. However unlike the Wey Navigations it proved not to be a commercial success with the advent of the railways and motorisation on the roads dealing a severe blow. A series of owners struggled to make the canal financially viable but only 40 years after its opening was already beginning to fall into disrepair. Several revivals were triggered by external opportunities including almost bizarrely the carriage of material for railway construction, and the building of the huge military complex at Aldershot in the mid nineteenth century. All commercial traffic ceased in 1910, however. 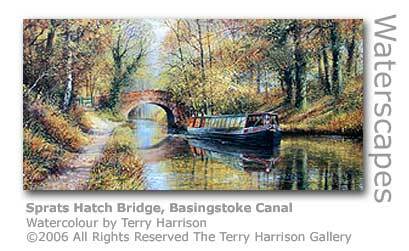 In 1923 Alec Harmsworth, who had worked as a carpenter, carter and bargeman on the canal before establishing his successful water and road transport business, bought the canal. A.J. 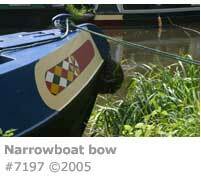 Harmsworth started trading on the canal in the early 1900s with his first barge Mabel. As the business grew he rapidly bought more barges and eventually started commissioning the building of new vessels, ending up with a considerable fleet of 20 vessels including the tug Shamrock. After Harmsworth’s death in 1947 the canal was auctioned, but by the mid 1960s the canal was derelict. 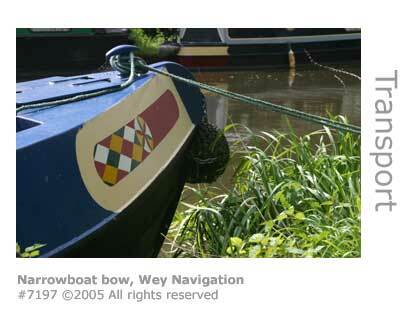 In 1991, 32 of the total extent of 37 miles was re-opened for navigation commencing from the Wey Navigation at Woodham up to Greywell near Basingstoke. The original canal bridges have been restored together with the 1000 ft ( 305 m) Ash Embankment, which rides across the aqueduct high over the A331. This considerable achievement was made possible by the unstinting efforts of a band of Surrey & Hampshire Canal Society (SHCS) volunteers from 1965, backed by the Inland Waterways Association. A roller-coaster ride with differences of opinion between the volunteer groups and local authorities eventually lead to the canal being acquired under powers granted by the Countryside Act of 1963. 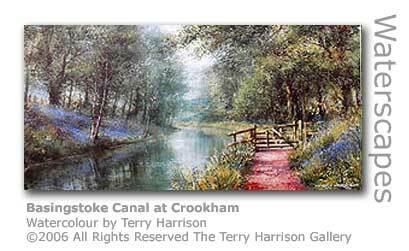 The Hampshire and Surrey County Councils were granted Compulsory Purchase Orders in 1972, at which point the canal was valued at £100,000. In 1973 a Joint Working Party was established comprising representatives of County Council officers, the Canal Society, Inland Waterways Association and the Army to restore the full length of canal. Cost estimates were put at £346,000 including £98,000 to be raised by volunteers. The ceremonious completion of a pair of upper lock gates was achieved a few months later by volunteers at the Ash Vale barge yard. By 1981 24 miles of channel had been dredged, 12 locks restored and 6 accommodation bridges restored. The government run Nature Conservancy Council (now English Nature) identified 25 miles (40 km) of the canal as a Site of Special Scientific Interest (SSSI) in 1987, and set out a formal wildlife conservation policy which included banning motorised boating on the canal west of Odiham. The SSSI designation was however considerably postponed due to disagreements over zoning proposals for the canal. The canal suffered considerable damage during the big storms of 1987, including damage to lock gates which had to be repaired. The Basingstoke Canal’s restored 32 miles was officially re-opened in 1991 by HRH The Duke of Kent after 18 years of volunteer restoration work. Guildford Borough Council completed refurbishment works along the canal at Ash Wharf in September 2010. This included the installation of new railings, paving, benches and mooring bollards, together with the planting of native plants and ornamental shrubs on the canal banks. The last major restoration at Ash Wharf was in the 1960s. This canal continues to suffer from water shortages and is regularly closed to boats at times of low water. A system of pre-booking lock usage has been introduced to control access, and canal staff often travel with boats to ensure that locks are not left leaking after use. The use of electric backpumps, as used successfully in the Wey & Arun Canal, are also being introduced where automatic switching will pump water from below the lock to the upper approach when the level drops. The full course of re-opened canal passes through the town of Woking, the villages of St Johns, Brookwood, the town of Fleet, Crookham village, Winchfield and Odiham. The Greywall Tunnel is no longer open to navigation having suffered a catastrophic roof fall in 1932, effectively isolating the last 5 miles of the canal. Canoeists still managed to navigate much of the tunnel until it was sealed off for safety in the early 1950s. The first 800 yards of the tunnel remains navigable today but access is severely restricted by a Site of Special Scientific Interest declaration when in 1995 it was discovered to be home to a great many species of bat. Following an investigation by the Environment Agency (September 2009) Thames Water was fined £12,000 plus costs of £5,000 for allowing untreated sewage to flow into the Basingstoke Canal. The agency was alerted to the fact that over 200 fish had been found dead in a stretch of the canal near Woking, with their investigations revealing high levels of ammonium and oxygen. Following the accident, which was caused by a poorly maintained sewer, Thames Water spent £40,000 restoring the quality of water in the affected stretch. The case was heard at Woking Magistrate's Court in April 2011.